Do you have a patched-together software system that feels like a Frankenstein’s monster? Your inventory is growing so you add bar coding to help keep track. You get a sales quoting tool in the cloud, so that anyone talking to a customer has access to the latest info. Your new company website requires a new back-end system for your online orders. Customer Service can’t see the on-hand inventory levels in the warehouse bar-coding system. Customer data is duplicated in Sales, Accounting and Shipping—and the data doesn’t match. Re-keying web orders into your sales order system creates delays and errors. 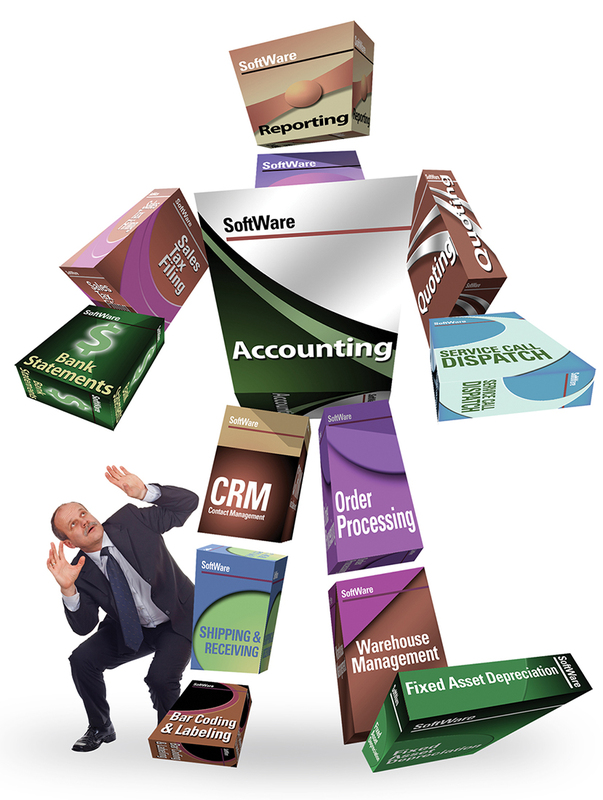 Your software monster has too many limbs duct-taped together. Your workflow doesn’t flow! Companies put up with their Frankenstein’s monster for years rather than risk a disaster during a transition to a new system. Production interruptions, data corruptions and cost overruns aren’t feasible. Don’t worry. We’ve smoothly transitioned many companies from disparate systems to integrated systems. We’ll give you plenty of references as proof. Its integrated modules and vertical solutions cover any function you could need. And it’s flexible enough to share data with any specialty software you want to keep using. If it’s time to replace your Frankenstein’s monster with one integrated system that can grow with your business, we’re here to help!